This is a 4-wire analog touch screen originally designed for the Nintendo DS. Add this touch screen to any LCD you want! Readings are taken by putting 5V across two of the pins and doing an analog to digital conversion on the other two pins. Full X and Y position can be achieved with only 4 GPIOs. 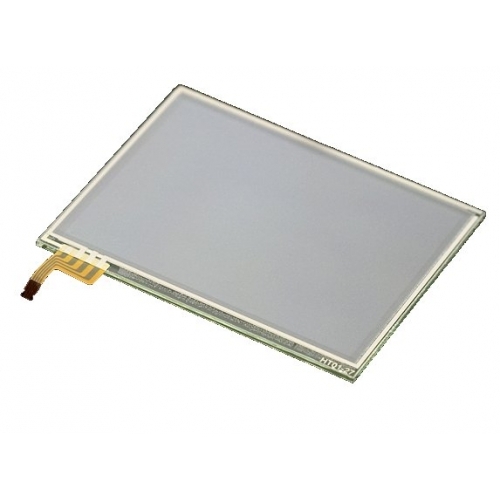 The screen is made from clear glass with a resistive clear plastic layer on top. Check out the Sparkfun touchscreen tutorial!